Maria: HEAD and HANDS need a mediator. THE MEDIATOR BETWEEN HEAD AND HANDS MUST BE THE HEART! The father of sci-fi cinema. Silent movies are not for everyone. Neither are subtitles. Those brave enough to view a movie with no sound and words that are far and few between should definitely enjoy this silent masterpiece. 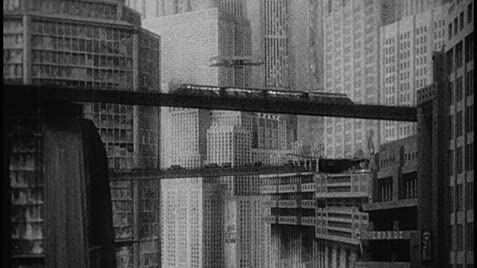 One of the biggest productions of its time, Metropolis still holds its own when set design and special effects are compared. But what Metropolis really has is orginality. 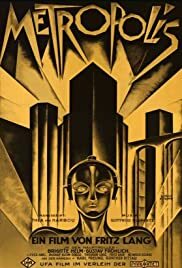 This German-Expressionist film had such originality in everything from its costumes to its views of a future (modern) city that its ideas can still be seen everywhere in modern sci-fi. Star Wars's C-3PO was based on Bridgette Helm's robot. Dark City and Brazil both have Metropolis look-a-like cities. This is a very good movie. It's too bad most movies don't have its originality.